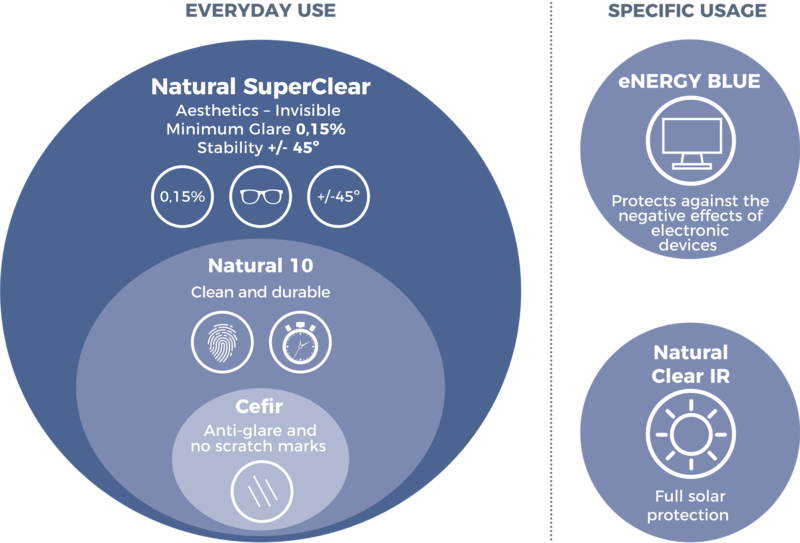 The Natural SuperClear AR treatment comes from the combination of two innovative technologies recently developed by Indo. 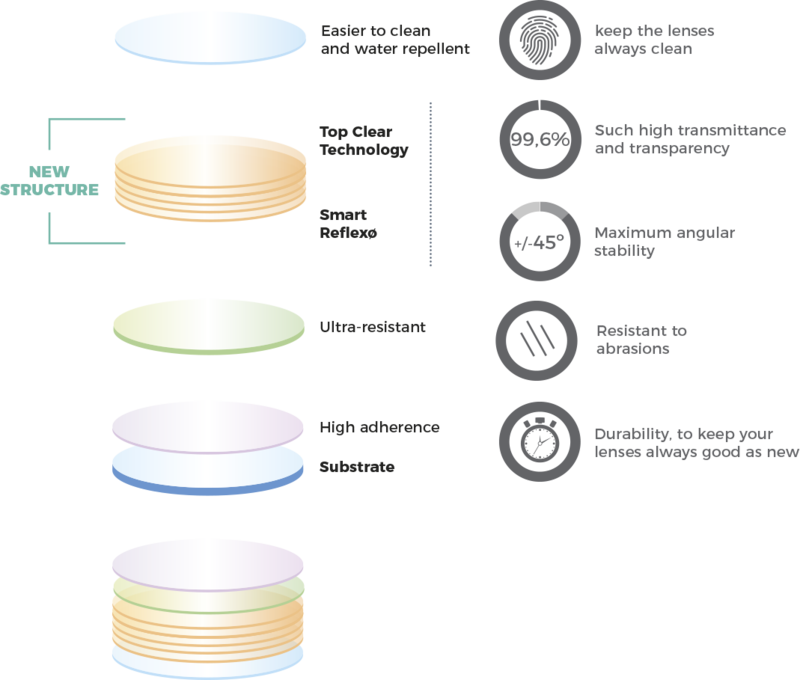 Thanks to the combination of metallic oxides, we were able to develop a highly optimized multilayer structure, allowing for a higher light remittance. Controls the superficial reflexes on the lens Not only do we wanted the lens to be as transparent as possible, we wanted it to be equally transparent throughout its surface. 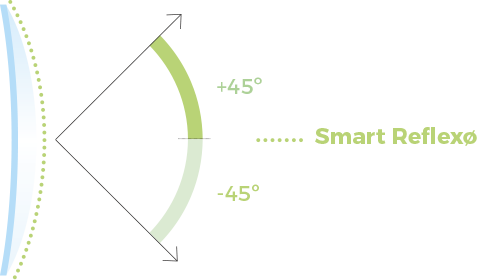 Smart Reflexø is the technology developed by Indo, in which precise multilayers were developed to guarantee the stability of the superficial reflex. On a purely aesthetic level, Top Clear Technology allows for a stunning invisible effect, giving the user a much natural look and increased visual comfort. The lens itself appears not to be there! Smart Reflexø, Aesthetics and added comfort to your eyesight, in every single angle. Top Clear and Smart Reflexø. 49% less glare* than its direct competitors. *light reflective measures on and average of +/-45o over the surface of the lens. – its made for everyone who values aesthetics and a more natural look.